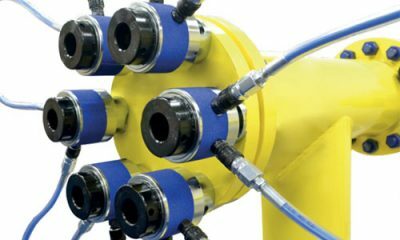 KBSS can access tensioning equipment which have a stroke of 10 mm and cover ranges from ¾”- 4” (M24-M115) and can work on the max tool pressure of 21750 psi (1500 bar). The ST Tensioners offer both metric and imperial inserts. The anti-slip tool surface improves operator grip as well as increasing safety. The dual port design makes operation twice as fast as a single port tensioner, as well as simplifying hose connection and eliminating tee-block.